Welcome back to a brand new episode of Covers from the Unknown! 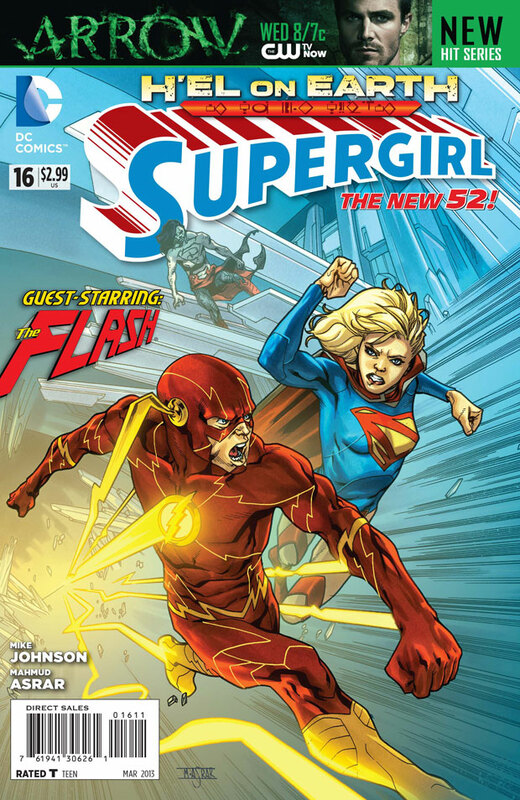 This week I bring you Supergirl #16, from the New 52. It features a great cover by Mahmud Asrar. So why this cover this week? Come on! You know why! All it took was one little tweet of a picture from Grant Gustin, and we have our first picture of our Supergirl-Flash crossover event between the CW and CBS! I do believe this will cause some medium sized waves in the world of comics. I do expect people to start looking for some interaction between the two in the comic world. And honestly, other than the fact that they both died in the Crisis series, these two haven't crossed paths that much. This is one of those exceptions. This comic already sells above cover, in some cases going for 3 to 4 times cover. The print run was slightly under 28,000, but this did seem to be the time when stores started ordering less of some of the New 52 comics. Sadly, Supergirl was one of those titles taking that hit. So, how many are out there? We cannot be sure. I would take a chance, and grab one or two. I have a feeling the crossover will be a huge hit, and we may see these two interact a lot in the future. Hopefully will be able to find these at cover.